Iranian-backed Shia militia groups in Iraq say they have launched an offensive against ISIL strongholds west of Mosul. The Popular Mobilisation Forces are heading north towards Tal Afar, a town with a Shia majority before the self-proclaimed Islamic State overran it in 2014. Lying near Turkey, the area has a sizeable Turkmen population and the operation could cause concern in Ankara. The forces leading the assaults to retake Mosul hope to cut off the route to Syria by besieging the city from all sides. Some 40km to the south, Iraqi Armed forces and police claim to have retaken the town of Al Shura, a main defensive point for ISIL. Intense aerial bombardment and artillery fire were rounded off by a ground offensive in which Iraqi troops reportedly killed or arrested a number of jihadist fighters. Some involved in the fight for Mosul had hoped the Shia Popular Mobilisation Units would only play a minor role in the offensive. Mosul is a Sunni city, which Shia militias have pledged not to enter. 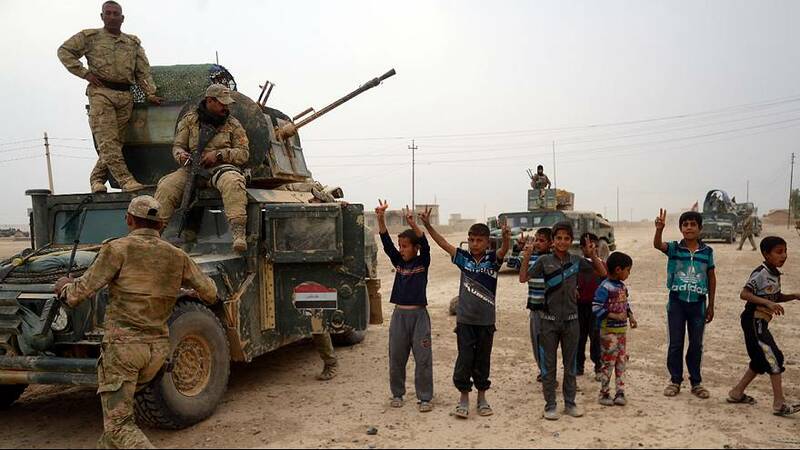 According to Amnesty International, in prior campaigns Shi’ite militias have committed “serious human rights violations, including war crimes” against civilians who were fleeing ISIL-held regions. At the beginning of the operation, the government stressed that it would be led by the Iraqi Army and Kurdish Peshmerga forces. Tens of thousands of soldiers, Kurdish fighters, federal police, Sunnis and Shia militias are said to be involved in the attack.